This salad is popular during the summer in Italy because of it’s light and refreshing flavours. This recipe was first published in Flavours magazine. Whisk the lemon dressing ingredients together. Grill the bread roll, and split in half. Mix the tomato with the basil, shallot, vinegar and lemon dressing, then pile on top of the bread roll. 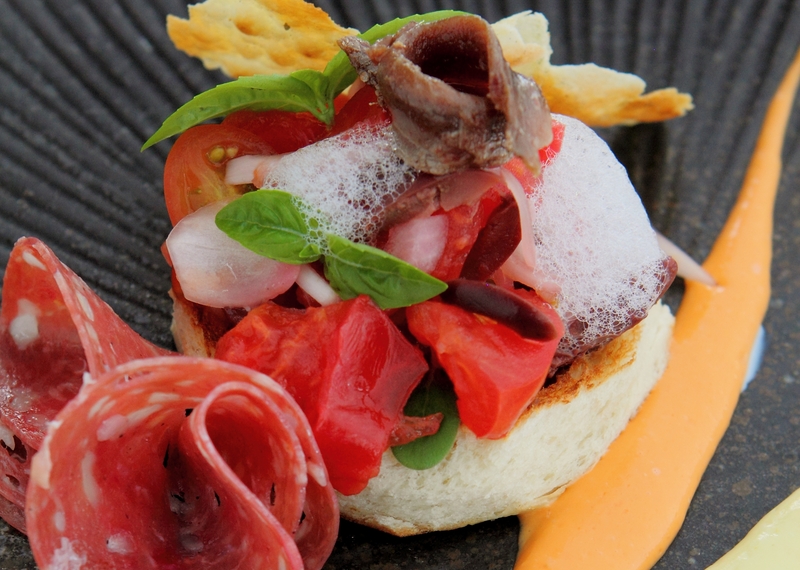 Place the anchovy and flatbread on top, along with some tomato espuma. Drizzle with red palm oil and serve with cured meat, red tomato mousse and green tomato mousse on the side.